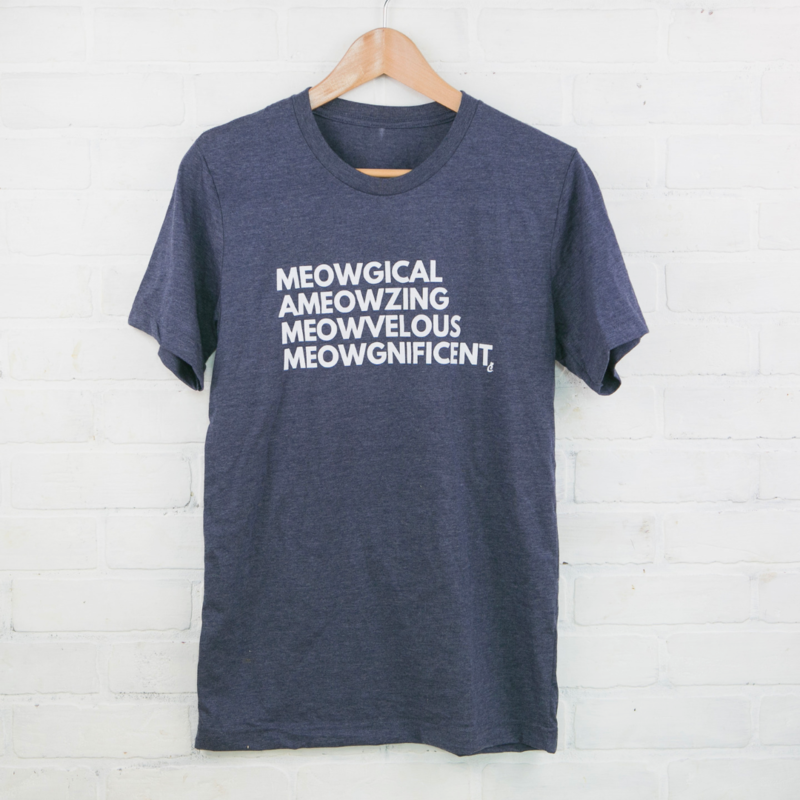 If you love cat puns as much as we do, we have a feline that you’re going to need this shirt right meow. 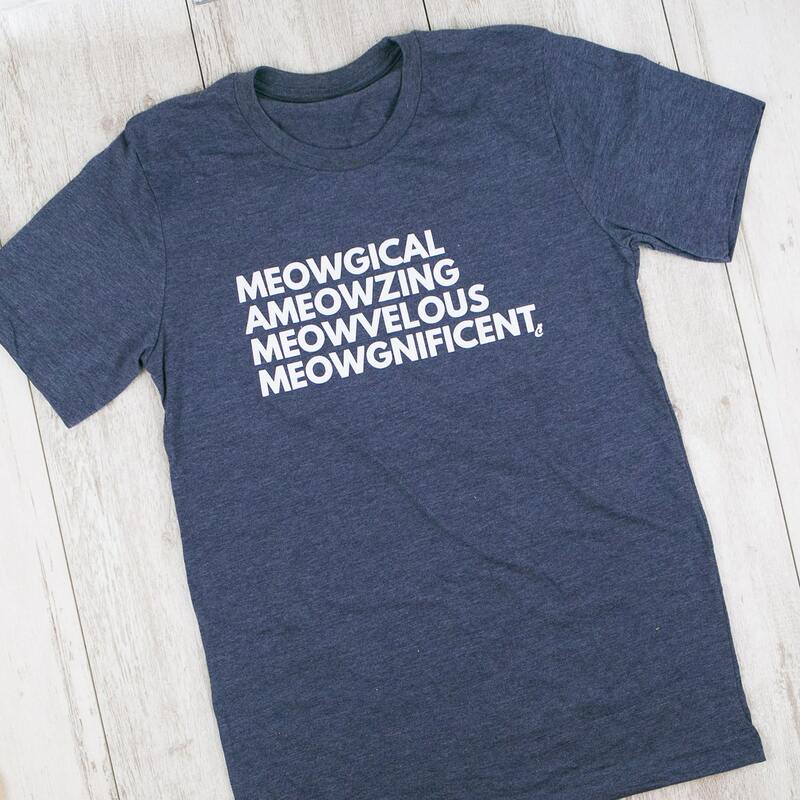 This shirt has all our favorite cat puns on it… and it is also a description of YOU! Heather navy. 52% cotton, 48% polyester. Made exclusively for CatLadyBox and originally featured in our “Absolutely Ameowzing"-themed box.